If you can’t quite see what this gentleman is doing, I will tell you! 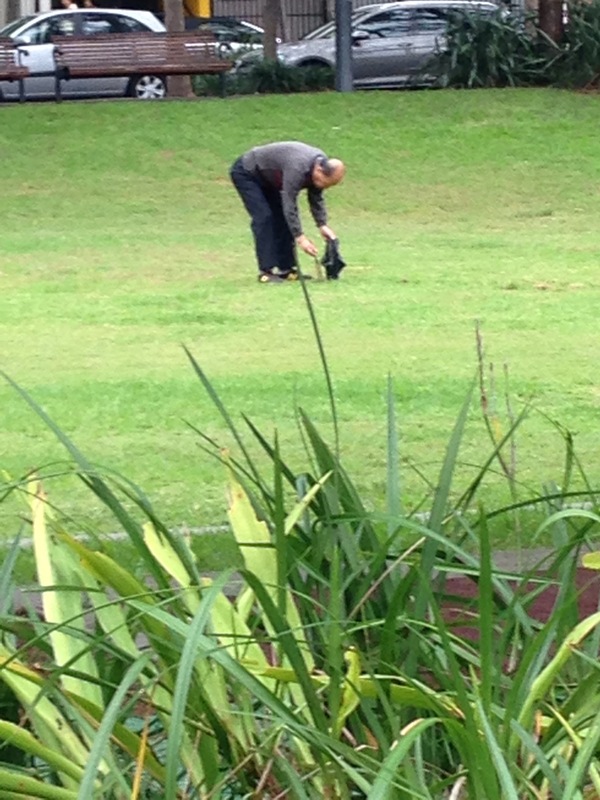 He is picking up Dog Poo with twig chopsticks! Yup! He found two twigs, grabbed a Doo Doo bag from the dispenser (yes, all bins have them) and went on to collect up the mess! Maybe not so wierd if he had a dog with him! 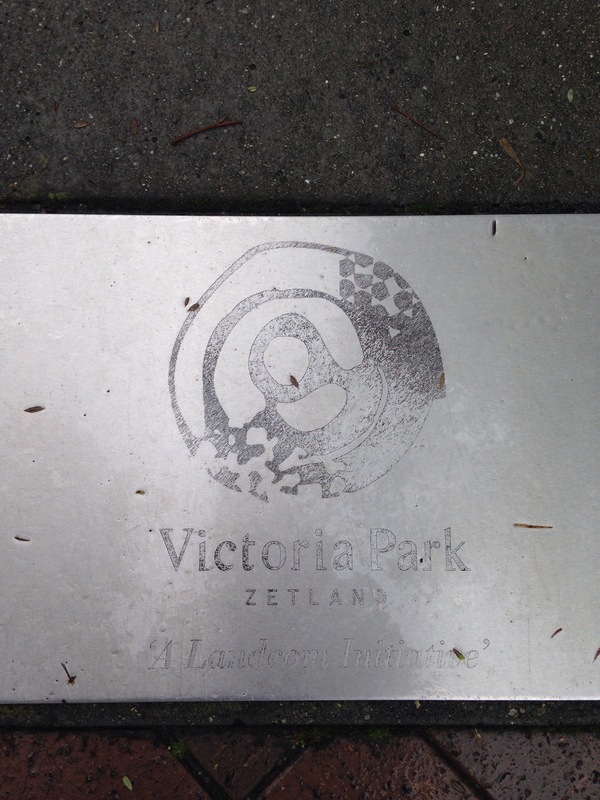 Amazing the things people do, to keep the parks nice for everyone! 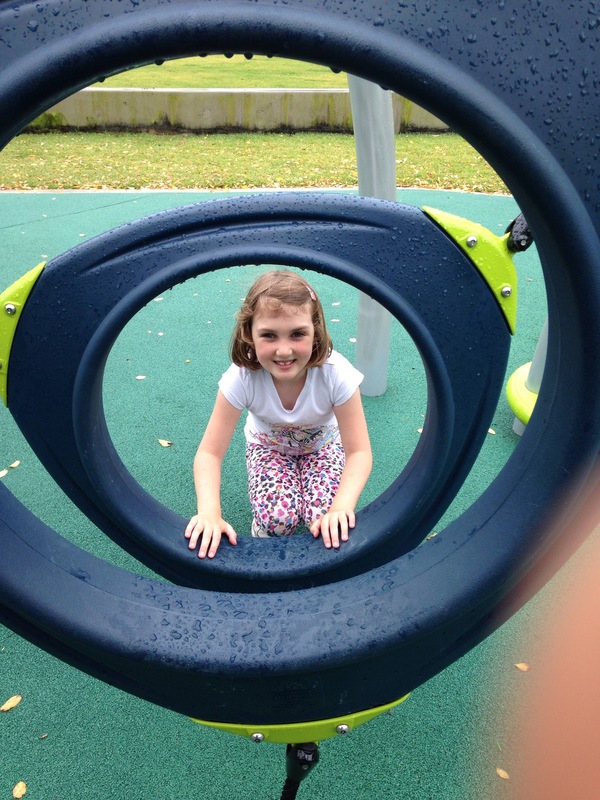 This was one of the two pretty cute parks really close to us! One of them had fountains for the kids to run in and out of! Which of course they did! While all the locals are wearing duffle coats, all huddled under their brollies, my two are stripping off and jumping right in! Spot the newbies!!! Two parks later, two tired children, hungry tummies and an empty kitchen can only mean one thing! We had to hit the supermarket! Coles is one of the biggest supermarkets here! It has everything you could possibly want! Crisps called “jumpys” (kangaroo logo of course) and bags of “women’s nuts” (nuts and seeds for female health I think… I hope)… I always find it amazing how different food shopping is when you’re abroad! We made it all the way to the kanagaroo steaks before we realised we had left the buggy in the veg aisle! (That bloody buggy again). Luckily it was still sitting there, although I think Tim was praying it had been burnt by security! 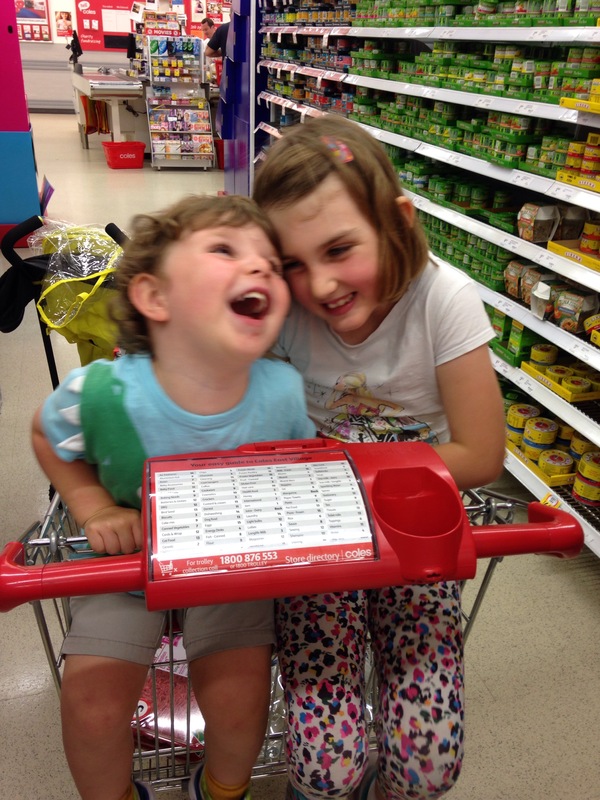 The children were screeching, Monty was demanding pepperoni and poppy was stuck fast in the trolley! I started to sweat! I just knew how ridiculous we looked! Buggy, trolley, Monty shouting “pepperoni” in between sobs, and Poppy yelping that her legs were “buuuurning” as Tim was wrenching at her arms!! We managed to free her eventually but it was a close call and her trousers didn’t survive the ordeal! This is how a photograph does not show the reality of life!! So today’s lesson is, enjoy the outdoors as it’s far less hazardous no matter what anyone says about the spiders.